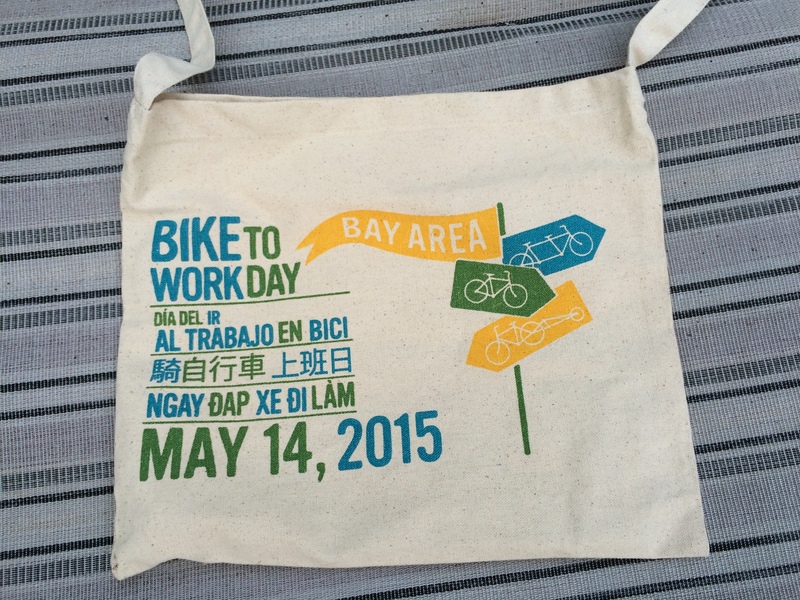 May 14 was “Bike to Work Day” this year around the Bay Area. 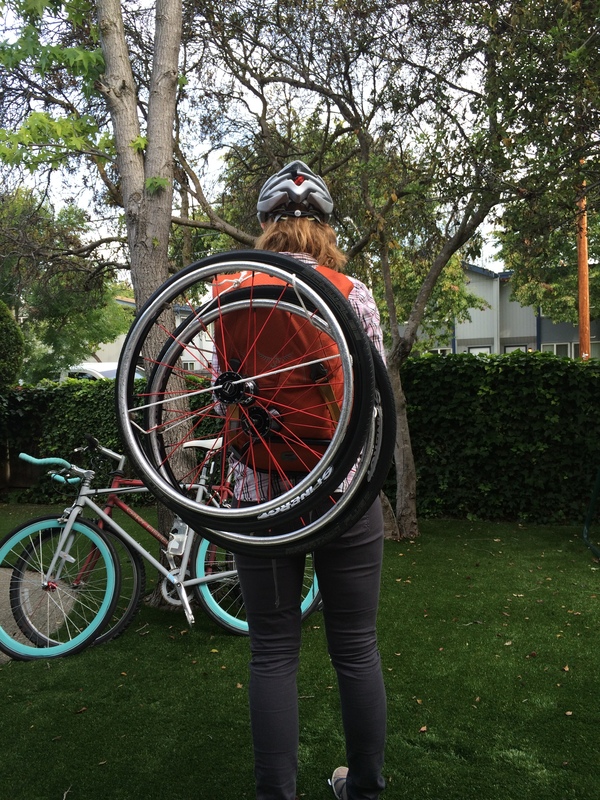 Last year I saw many cyclists commute to work and receive free tote bags and snacks, so naturally I wanted to participate this year. Biking to work, itself, wasn’t too hard of a commitment since I work about 3 miles from home and I’m in such great shape (*cough*). 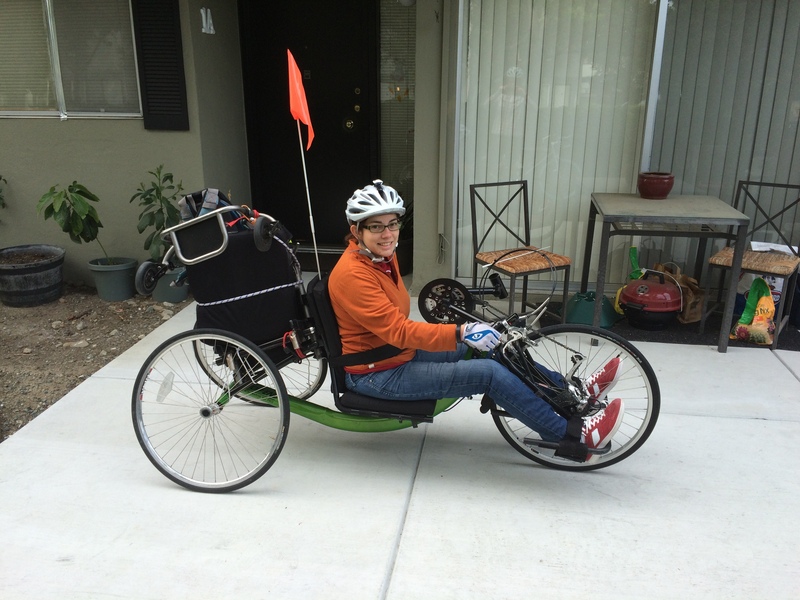 The hardest part was figuring out where to put my wheelchair while riding. 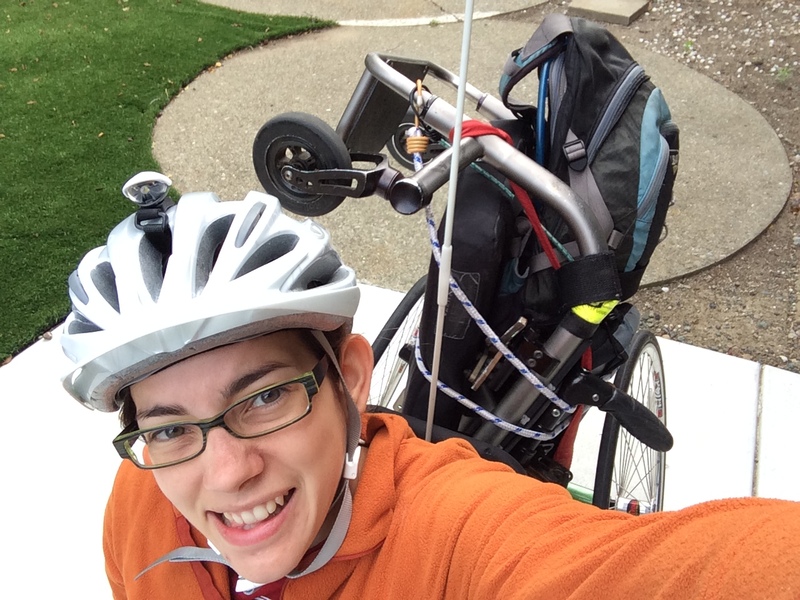 Normally when I go on a ride, I will leave my wheelchair at my car so I can get it when I return. 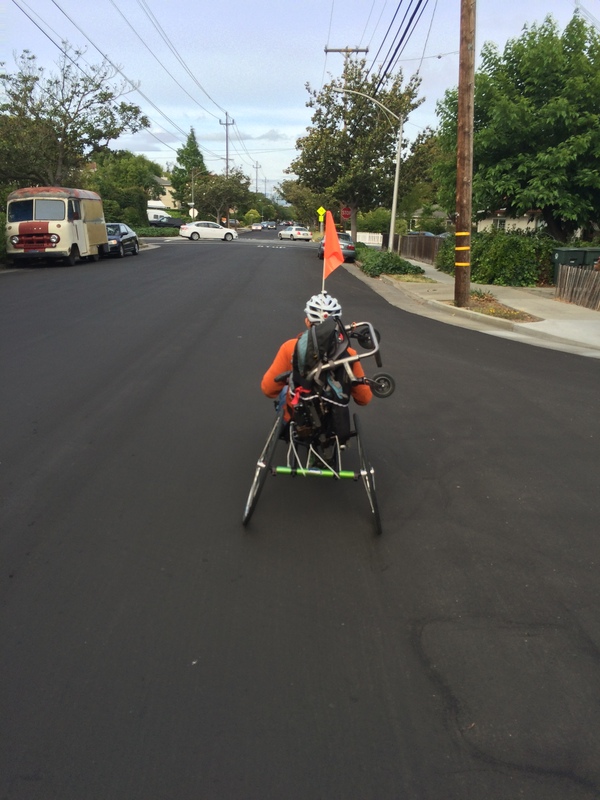 But, there was no way I was going to leave my chair at home and sit at my desk in a handcycle all day. 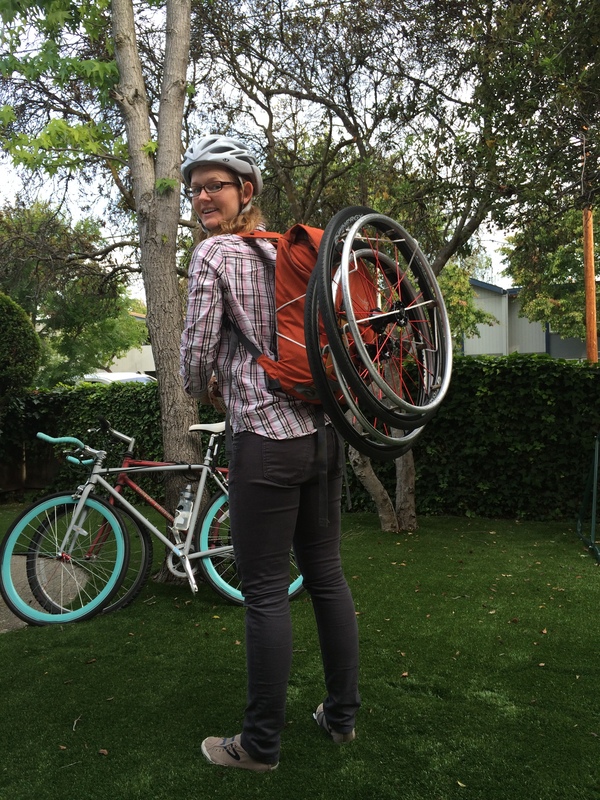 In the morning I met with my BFF, Becca, who was to be my pit crew in case anything went wrong on the ride over. 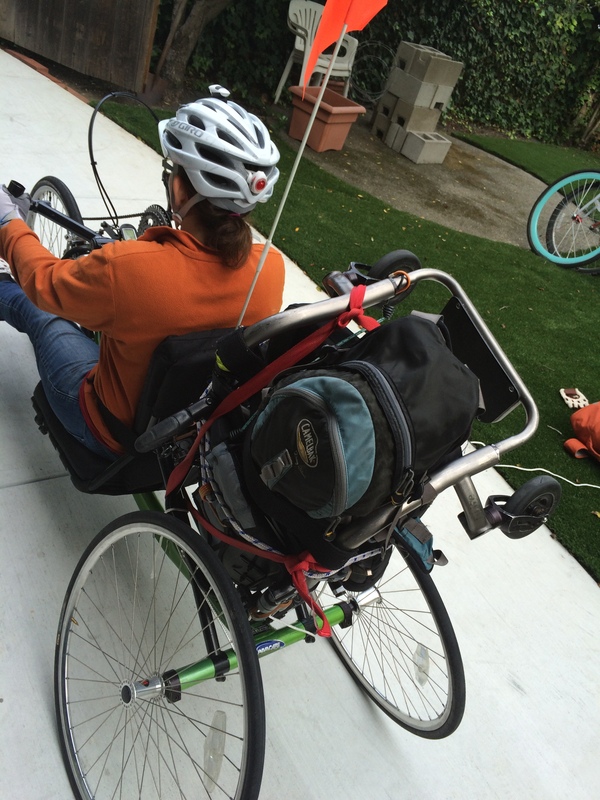 She gathered all the bungee cords and rope she could find and somehow finagled my chair to fit on the back of my handcycle. 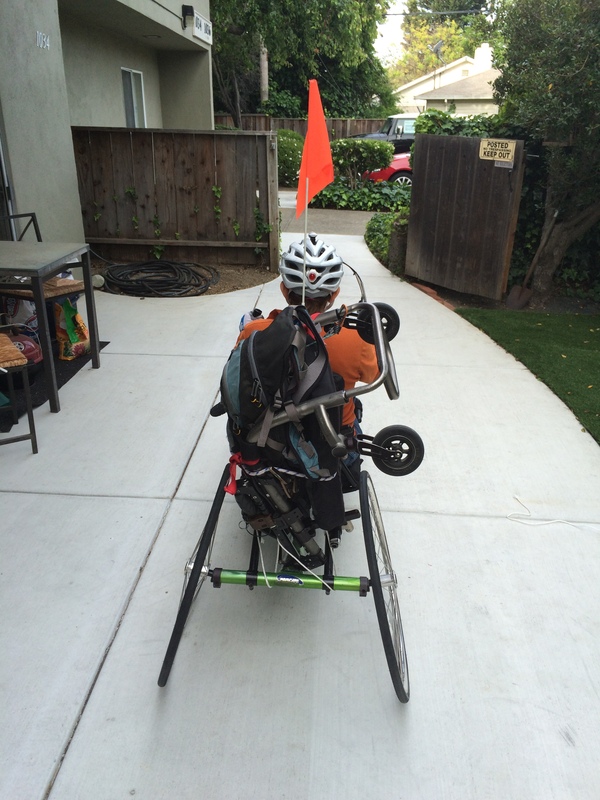 This was my first attempt at trying to manage the handcycle + wheelchair combo. Since this was the first time we had done this, there were a few hiccups along the way. LUCKILY! 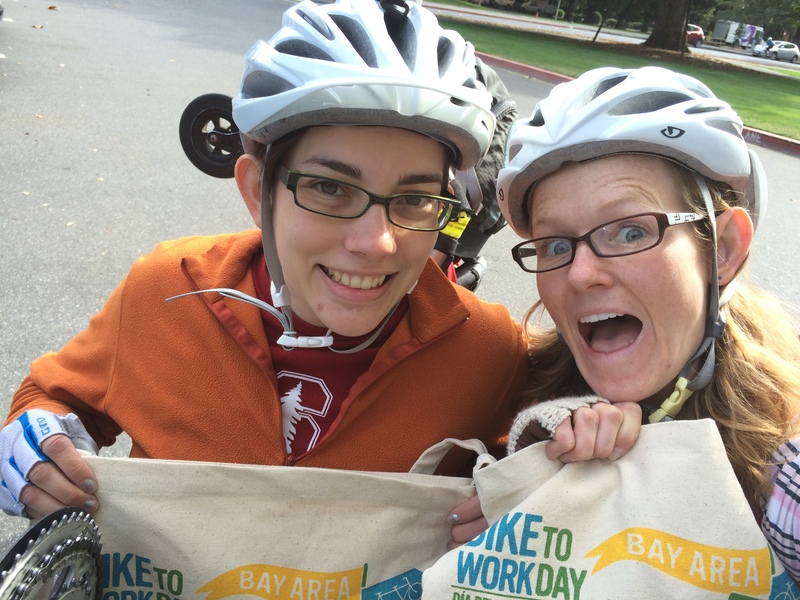 I passed two stations on the way to work and the last one had extra tote bags for us. 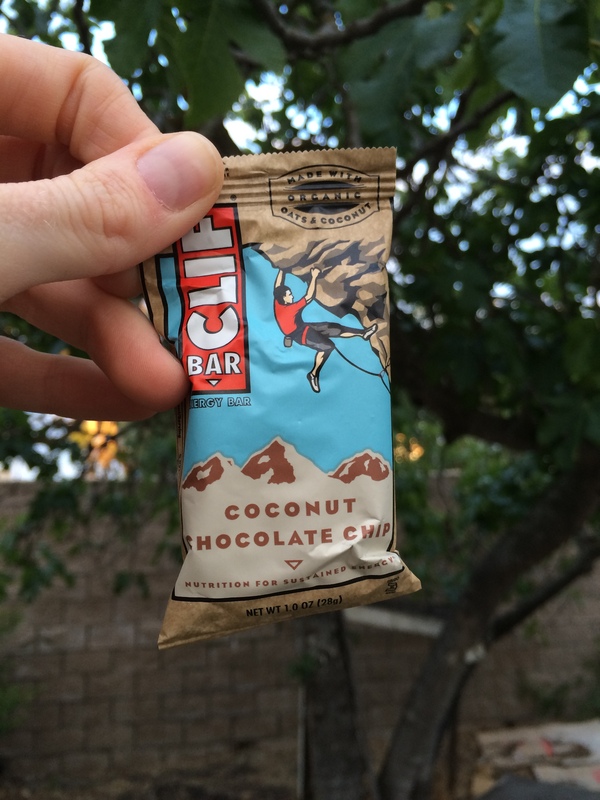 Baby clif bar? Totally worth it. 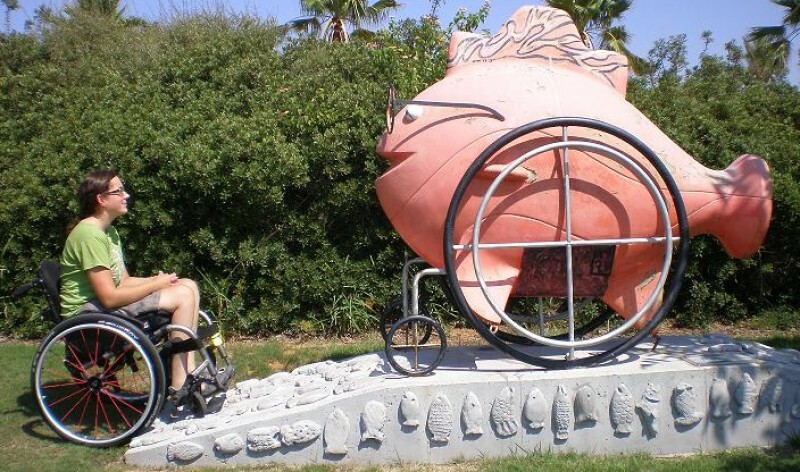 I saw this bike trip as a test run for when I bike around Europe with some of my closest friends for my 10 year Crashiversary next year. All in all, it was a success! By next year I’ll be a pro and be ready to hang my 2nd tote bag in my closet with pride. 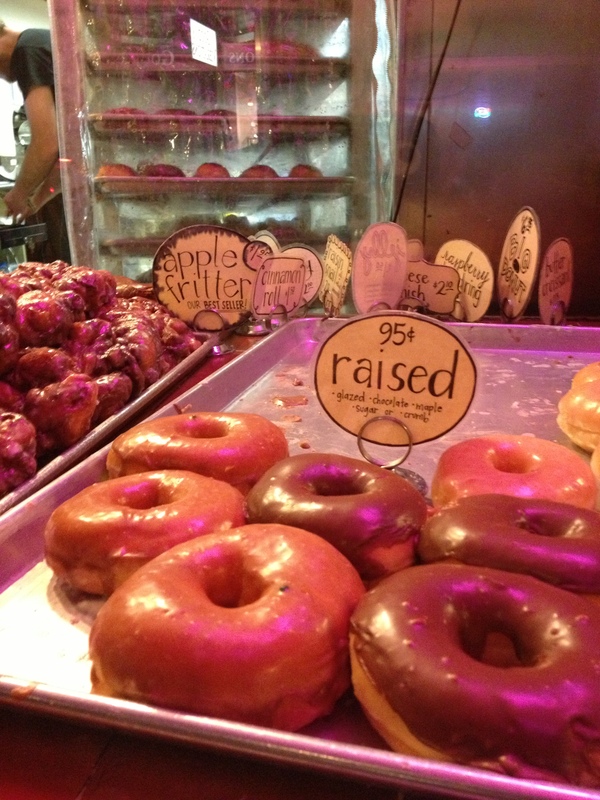 One of my favorite places eat after gallivanting around San Francisco is Bob’s Donut & Pastry shop. It is open 24 hours. For good reason. There is ALWAYS a line no matter what time of night I show up. But don’t be deterred by the line. It goes quickly. It also allows you time to stare at the freshly baked(?)/fried(?) 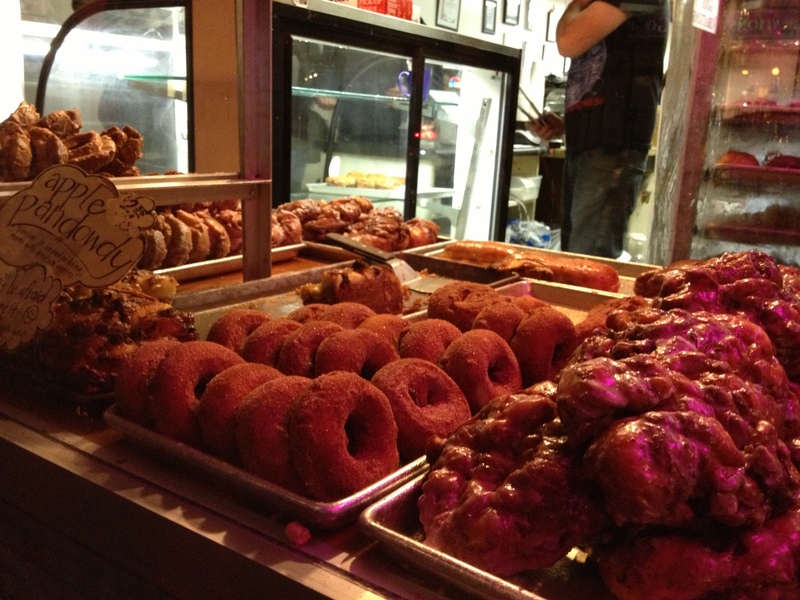 donuts and pick what you want to stuff in your face. Don’t worry. They also sell milk. 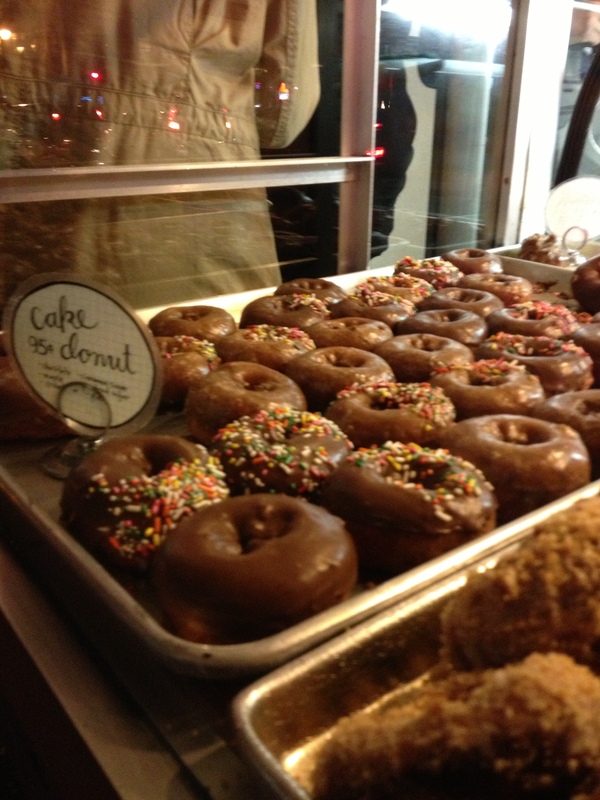 Bob’s is also famous for their giant donuts that are the size of your head! I have yet to eat one or order one myself. But I have seen others order them in a drunken frenzy. They are the size of cakes. Hmmmm….my birthday is coming up. Perhaps I should indulge myself. For my wheelie friends…access to the tables inside are a bit narrow (for anyone). But access to the ordering counter is very doable. I would suggest taking your goods to eat outside at the nearby bus stop….or just down the block. You may have read my initial review of Axis Dance Company‘s 2014 Home opener a few weeks ago. Well, here’s another excerpt from the dance performance “Divide” from Axis Dance Company based out of Oakland. Look at those amazing wheelchair dance skillz by Joel! So beautiful! 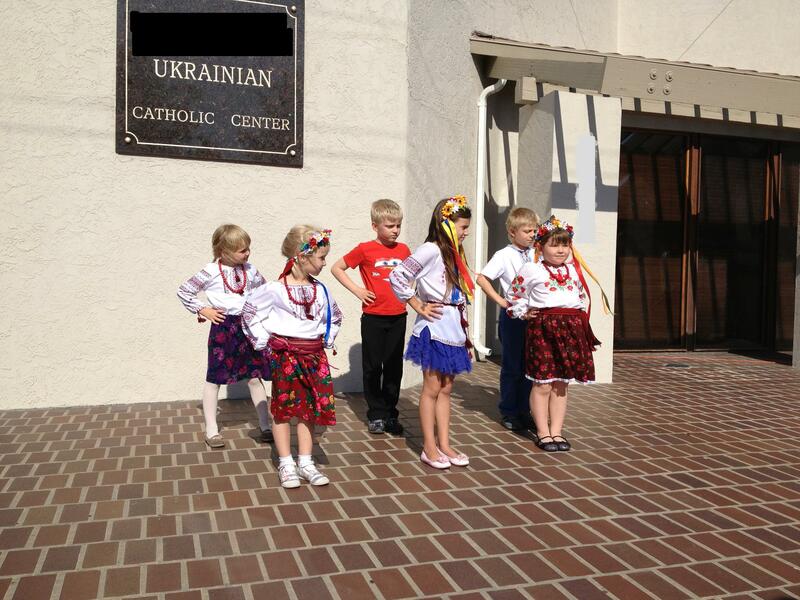 This weekend was Easter…and I decided to celebrate it by going to a Ukrainian Catholic Easter service on Saturday. You know it’s going to be good and authentically Ukrainian when the van in the parking lot has the license plates “Borsch” on it. The service was about 3 hours long and was all in Ukrainian. Turns out….I don’t know Ukrainian. But one really cool thing that is unique to Ukrainian culture and Easter is that at the service, everyone brings a basket with a variety of food and goodies inside, and at the end of the service, the priest comes by with his swinging incense and blesses all the baskets. Really cool to witness. 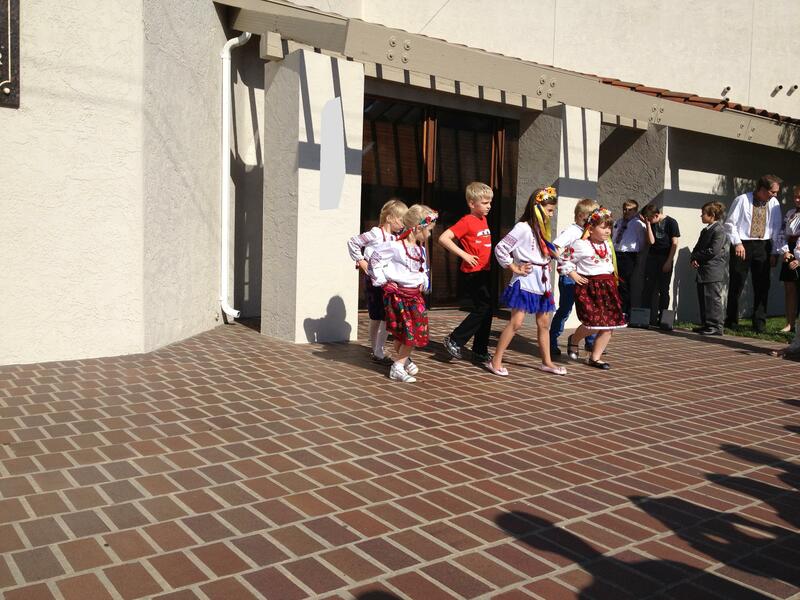 Afterwards, there was a dance performance by the children in the congregation, all dressed up in authentic Ukrainian garb. 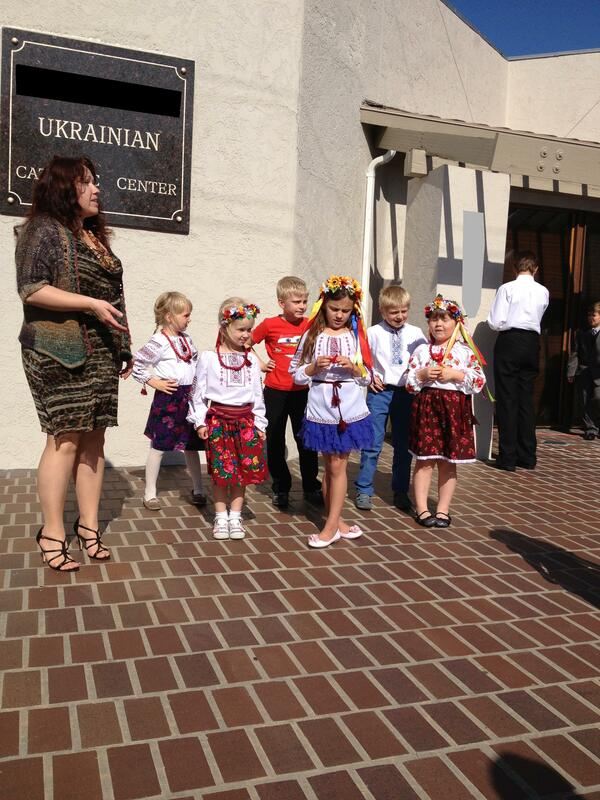 I have to say…that seeing small children all dressed up and speaking Ukrainian was one of the most adorable things I witnessed all weekend. I guess, the point of this post is that….sometimes you don’t have to travel far to get a new cultural experience.